Redefine style with a one-of-a-kind turquoise statement necklace from Palms Trading Company. These beautiful, handmade necklaces are some of the many authentic pieces in our Native American Indian jewelry collection. 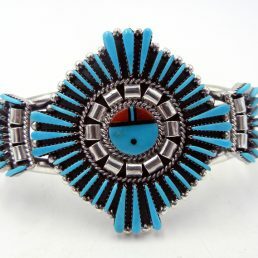 With an assortment of stunning bracelets, earrings, rings, and more, Palms Trading Company in Albuquerque has a selection of men’s and women’s jewelry at prices that can’t be matched! 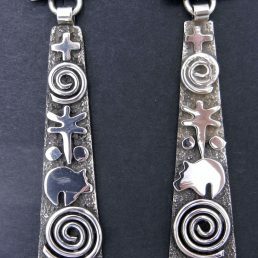 Our Native American necklaces are perfect for men and women that want to add the magic of the Southwest to their personal style. 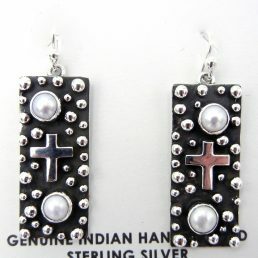 Each necklace is handcrafted by Native American artists from our regional tribes and Pueblos. 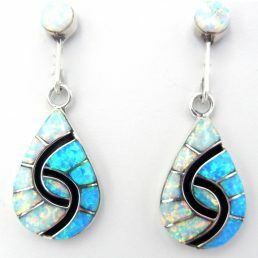 We carry an array of stunning jewelry featuring precious and semi-precious stones including spiny oyster, coral, and turquoise. These unique collectibles are purchased directly from the artists to ensure their authenticity. 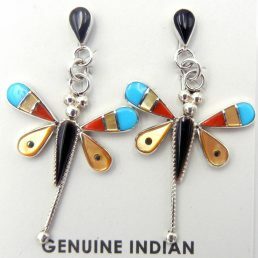 Stop in to Palms Trading Company today and browse our extensive selection of fashionable jewelry at fair prices. 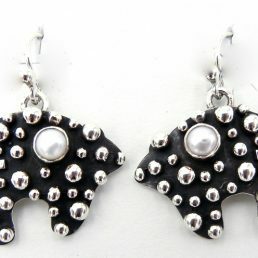 All the jewelry at Palms Trading Company displays designs and materials characteristic of our region’s unique culture. 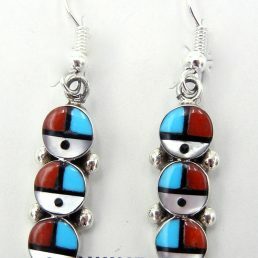 This includes the beautiful turquoise stone, a hallmark of the Southwest frequently used in Navajo, Santo Domingo, and Zuni jewelry. 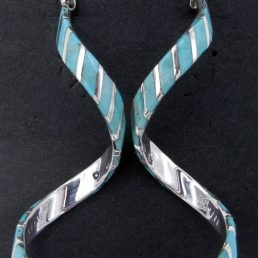 A turquoise statement necklace may feature large, chunky stones or strands of small beads depending on the artist’s Native American heritage. 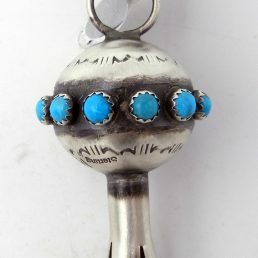 It is important to note that, because these turquoise gems are authentic, environmental elements and body oils may change their color and hue over time, making each stone truly one-of-a-kind. Along with our necklaces, we have a full selection of matching earrings, bracelets and rings that showcase the turquoise gem. Palms Trading Company is proud to help preserve the Native American heritage, customs, and traditions that continue to enrich our region. 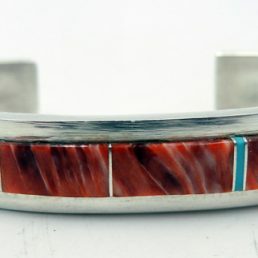 For years, our strong bonds with the Native American Indian Pueblos, as well as the Navajo Nation, in our community have enabled us to share their wonderful crafts with the world. We invite you to discover our amazing collection of jewelry and step out in style with a handmade turquoise statement necklace from Palms Trading Company.